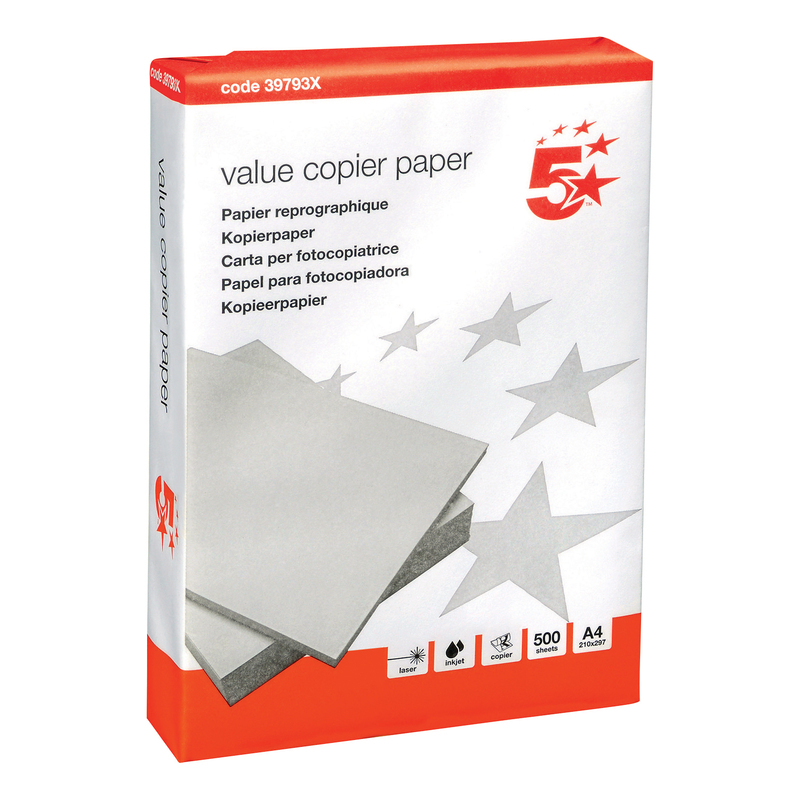 Despite the low price, this copier paper from 5 Star offers exceptional quality when used with all manner of printing or copying devices. Whether used as inkjet printer paper, laser printer paper or in a black and white or colour photocopier - this 5 Star Paper is certain to provide perfect results and is substantial and durable to an extent which belies the small cost. At DGOS we're proud to stock the great value products of 5 Star and this high quality and great value A4 paper is no exception. 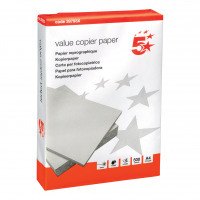 5 Star™ Value multifunctional paper that is ideal for high volume printing. Produces excellent results across a wide range of machines including mono copiers, laser and Inkjet papers as well as plain paper fax machines. Economically priced and manufactured to meet ISO14001 and ISO 9001 standards. john | good quality paper for the price!